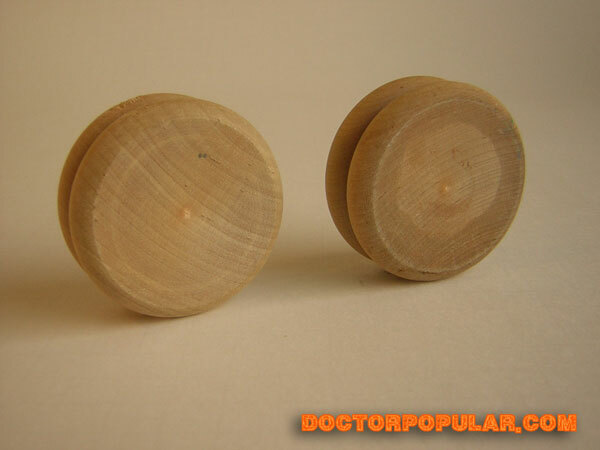 Most wooden yo-yos on the market are made from multiple pieces of wood. 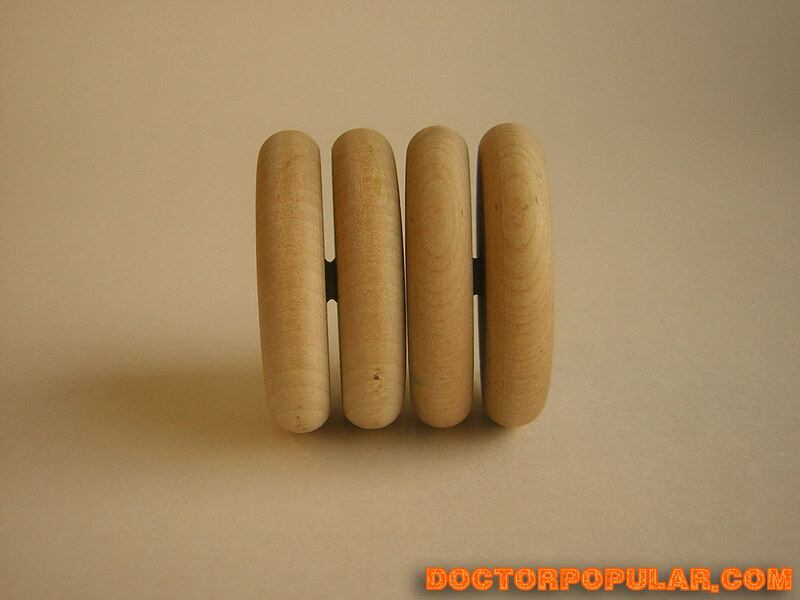 It’s the most cost effective way to make a wooden yo-yo, but working with multiple pieces of wood can cause performance issues since it’s very difficult to ensure that both pieces are the same weight. According to Tom Van Dan Elzen, the only way to make a well balanced wooden yo-yo is by making it out of a solid piece of wood. That’s why Tom’s company, Playmaxx, released the Roadster Yo-Yo. The Roadster was larger in diameter than most looping yo-yos. Aside from being a solid piece yo-yo, the Roadster was also given a higher rim weight ratio by concaving the sides (removing some of the yo-yos middle weight). Around the time of the yo-yos release, Tom acquired the rights to Flores Yo-Yos. The Roadsters that were sold through Dave’s Skilltoys were emblazoned with individual numbers and called Flores Yo-Yos. 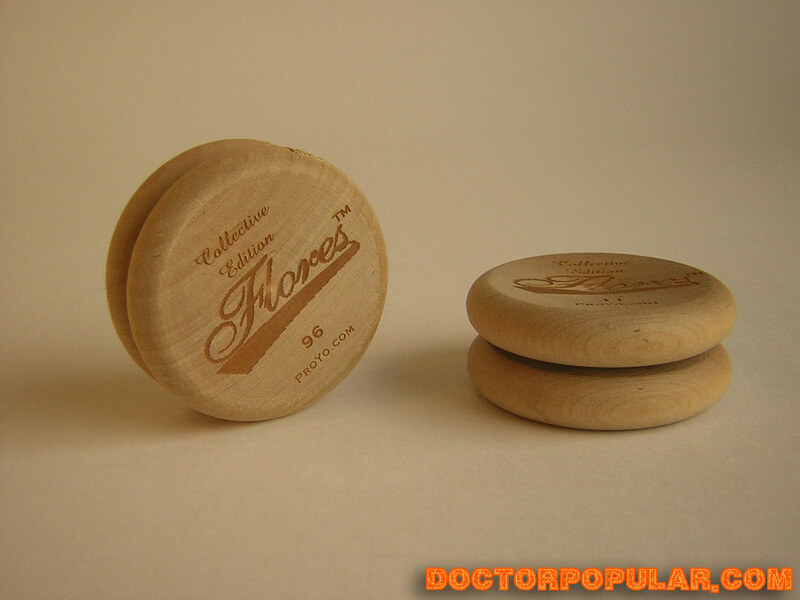 So the company that started off as Duncraft, and later became ProYo, but preferred being called Playmaxx, made wooden yo-yos called Flores. I think Tom even mentioned to me his plans of releasing other wooden yo-yos under the Flores name, but these were never made. issues since it’s very ensure that both pieces are the same weight ??????????? It started as Duncraft (that Duncan stopped the use of) changed to Duracraft, changed to playmaxx, and had a product line called proyo (To my knowledge they never had a legal name of pro-yo). The Flores name was not aquired. It had fallen out of trademark and TVDE trademaked it. I seem to remember he trademarked a few other other old yo-yo comany names, but I’m not 100% sure on this. Duncan now owns the trademark.